So you may ask why am I posting this on Holland’s Heroes. The reason is that in the event that many people see this picture I want them to see the website Holland’s Heroes. So yes, it is totally unrelated and a shameless way to bring traffic to Holland’s Heroes and make people aware of the book “Jew Face”. 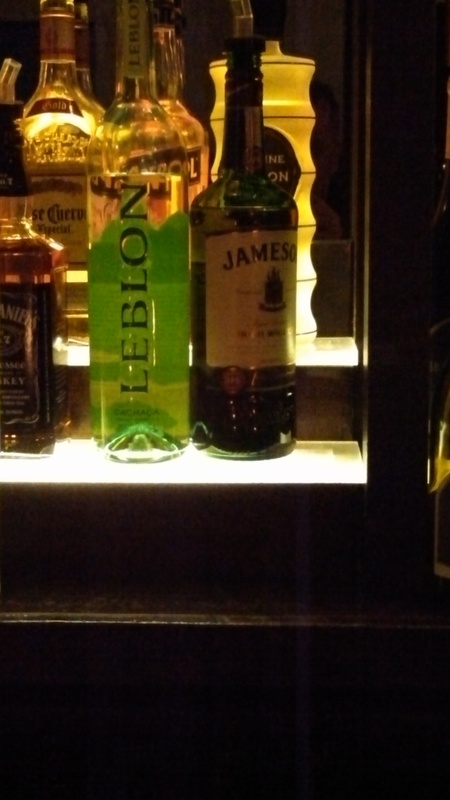 This picture was taken by me, and in fact when I saw the 2 bottles on the shelf I actually asked the bartender to rearrange them to create the appearance you see here. Another example of what happens when someone has too much time on their hands. But you must admit it’s clever and relevant today. Just not relevant to this website. Oh well. This entry was posted on Friday, June 21st, 2013 at 11:41 am	and posted in Uncategorized. You can follow any responses to this entry through the RSS 2.0 feed.